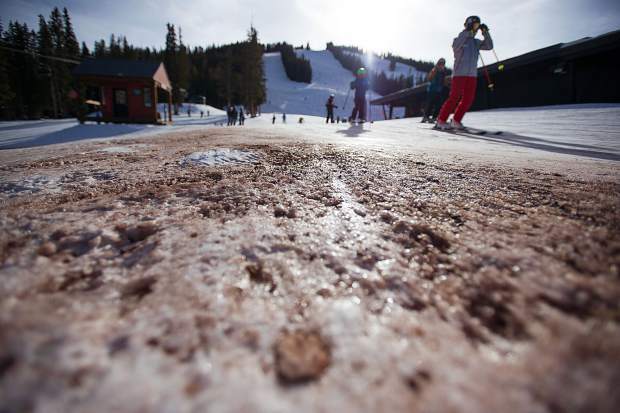 Ski instructors and their students had to dodge dirt patches at Aspen Highlands in late December. A new report documents how winters with low snowfall could affect the national ski industry. Advocacy group Protect Our Winters commissioned a 69-page study that looks at the economics of skiing and snowmobiling and the science behind the changing climate that is affecting them. The full report can be found at protectourwinters.org/2018-economic-report. Winter sports tourism pumps about $11 billion in direct spending into the U.S. economy each year but is at risk of being decimated by climate change, according to the advocacy group Protect Our Winters. The organization released a report Friday, Feb. 23, that takes an extensive look at the economic contribution of skiing, snowboarding and snowmobiling and how it is affected by low snow years. “This is the documentation of both the very real impacts of climate change and the science of what’s happening to winters in the U.S.,” said Auden Schendler, senior vice president of community sustainability for Aspen Skiing Co. and a member of POW’s board of directors, on Friday. 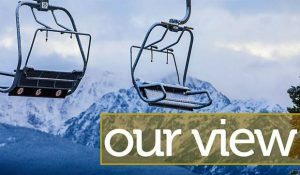 In an interview Friday, Schendler said the report’s message is not only that winter sports are imperiled, but the entire mountain way of life is in decline. “I think you have to look at this as a call to arms for the winter sports economy,” he said. The study, “The Economic Contributions of Winter Sports in a Changing Climate,” establishes winter sports’ value to the economy, documents how winters are changing and proposes a course of action. U.S. ski areas racked up an average of 55.4 million customer visits annually between 2001 and 2016. In the five lowest snow years over that 15-year period, national skier visits plummeted 10 percent. Fewer visitors means lost jobs and reduced revenue in towns such as Aspen and Snowmass Village. Colorado led the nation in economic contribution from skiing and snowmobiling. The study estimated ski resort operations generated more than 43,000 jobs and $2.56 billion in total economic value added in 2016. Skiing also is the catalyst that fuels indirect economic benefits to the lodging and restaurant industries. While heavy in statistics, the report, which can be found online at POW’s website, enlivens the data with numerous case studies that show how mountain residents’ lives are being affected or could be affected by changing winter. Breckenridge Mayor Eric Mamula talked about how winter is being compressed with quality ski time lost at the beginning and end from warm temperatures — a situation to which Aspenites can relate. 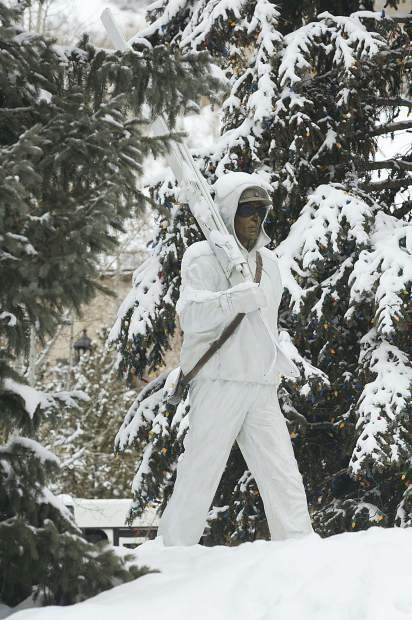 He said the snow sports world needs to change how it approaches the problem of climate change tactics, avoiding the “mostly ineffective actions of the past” and finding different approaches. The report lays out seven steps people can take, including getting educated, speaking up and lobbying policymakers.